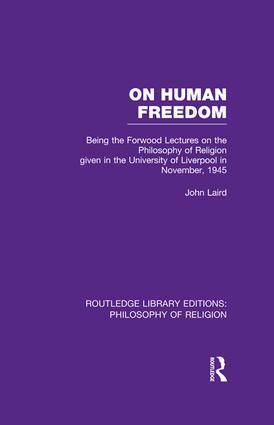 In the author’s opinion there are three primary conceptions of human freedom - non-coercion, autonomy and indeterminism. He presents his thoughts to define, compare, distinguish and correlate these, not merely with regard to the freedom of the human will, but also and more generally with regard to freedom in human life and thought. The discussion is psychological, ethical and theological. Originally published in 1947.